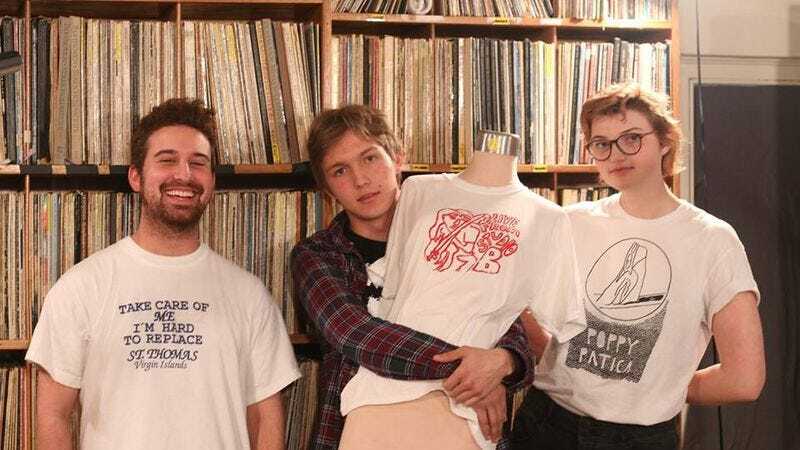 Last year, Tall Friend self-released its debut EP, Tawl Friend, a collection of slack-pop songs that showed Charlie Pfaff’s knack for simple, affecting melodies. On January 27, Exploding In Sound Records will re-release Tawl Friend both digitally and on cassette, while also releasing Tall Friend‘s debut album, Safely Nobody’s, this spring. Today The A.V. Club is premiering “Cockroach,” a song from Tawl Friend that’s been unavailable on streaming services for a little bit. It’s a song that shows Pfaff’s ability to craft a song that sounds effortless yet still makes every moment count, making every new part feel essential and exciting. Pre-orders for Tawl Friend are available now through Exploding In Sound.